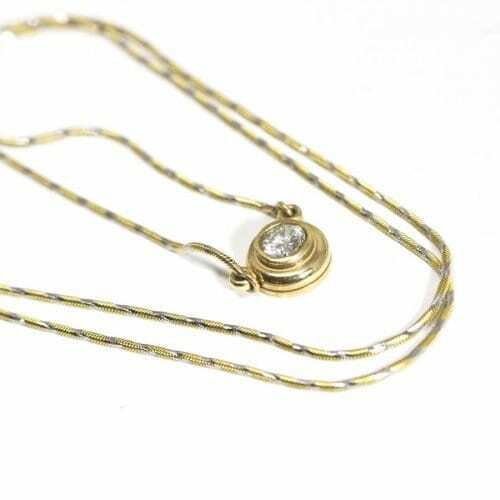 14k white necklace with 3-strand cable chain and diamond studded pendant in a snowflake or floral design. 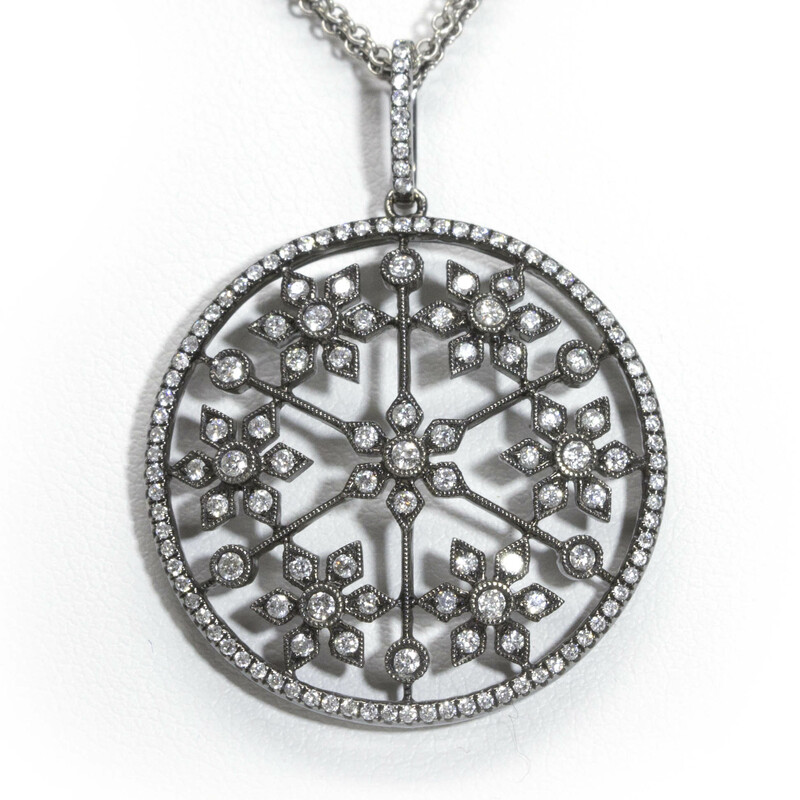 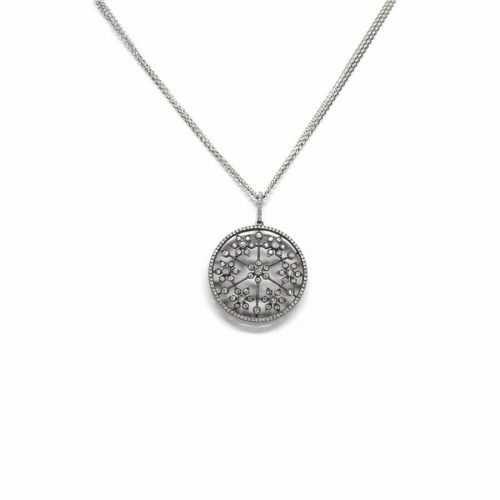 Round diamond pendant with diamond halo and diamond bail on a white gold chain. 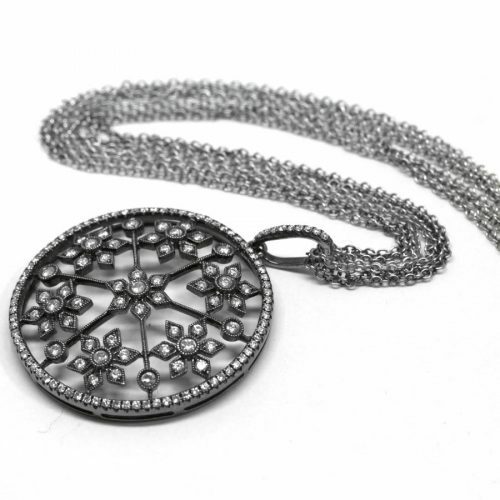 The chain can adjust to any size up to 22″. 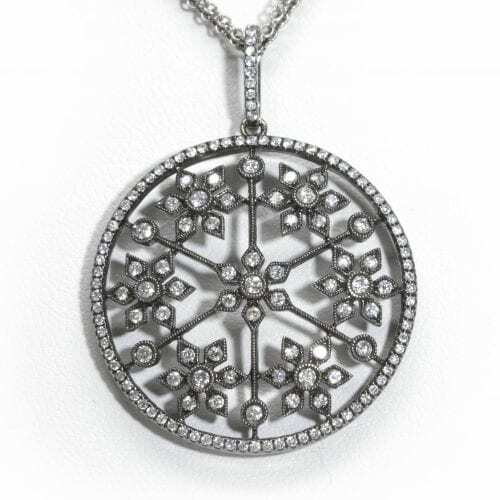 14k white gold mirror chain necklace with elongated pear-shaped frosted quartz and diamond halo. 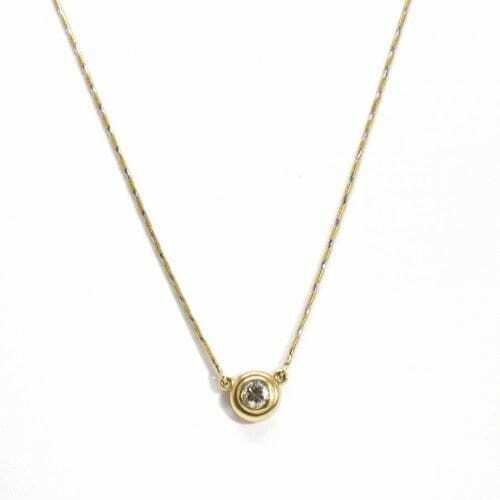 14k rose gold cable chain and green Amethyst with checkerboard faceting.